The Monkees, with original members Micky Dolenz, Peter Tork and Michael Nesmith (RIP Davy Jones), will release their first album in 20 years this year. Depending on how much faith you have in a Monkees album in 2016, that may or may not be interesting, but this part is: Songwriting contributions come from Weezer frontman Rivers Cuomo, Death Cab for Cutie/Postal Service frontman Ben Gibbard, XTC co-leader Andy Partridge, Zach from Rogue Wave, and Fountains of Wayne bassist Adam Schlesinger who also produced it. Nesmith and Tork also wrote one song each for it. UPDATE: The album also includes songwriting from Noel Gallagher and tour dates are now announced. The album also includes some unfinished material from the ’60s, including songs co-written with Neil Diamond and Harry Nilsson. Some of the ’60s material has the band backed by The Wrecking Crew. The album is called Good Times and it’s due out June 10 via Rhino. You can pre-order it at Amazon. The release doubles as the celebration of the band’s 50th anniversary, and they’ll also tour this year in support of it. 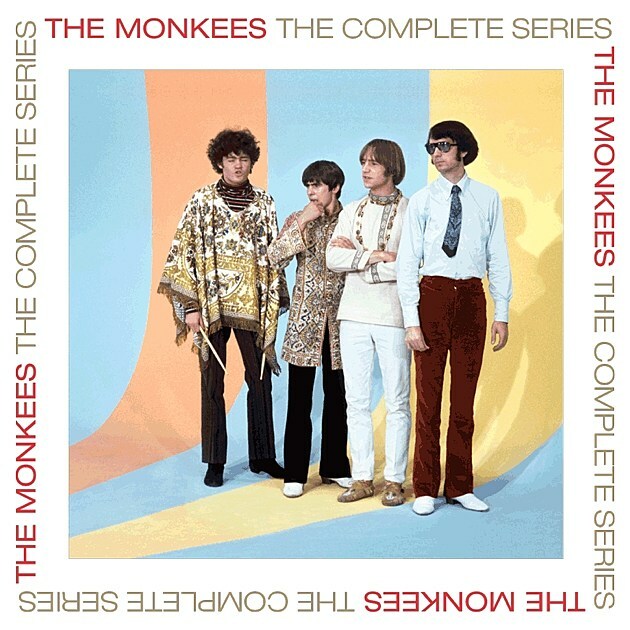 The complete set of the Monkees TV series also comes out on Blu-ray on April 29. You can pre-order that now too. That’s the artwork above.